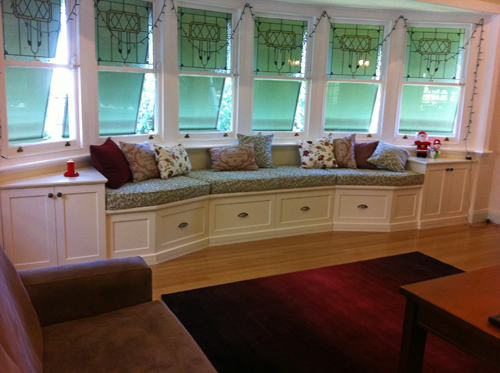 This home had the perfect setup for a window seat. The seat includes drawers and cupboard space that enables a lot of storage. This built in furniture has some very appropriate antique brass handles and has been finished in a custom antique white 2 pack satin paint.